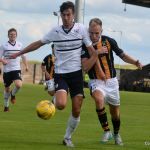 A much-changed Raith Rovers side went down by two-goals to nil at Bayview this afternoon, as Gary Naysmith’s East Fife side ran up a morale boosting win against their visitors. 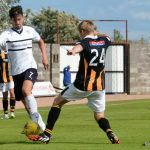 As expected, Ray McKinnon refreshed a team which had played three games in quick succession, with six alterations from the side which started against Dundee. 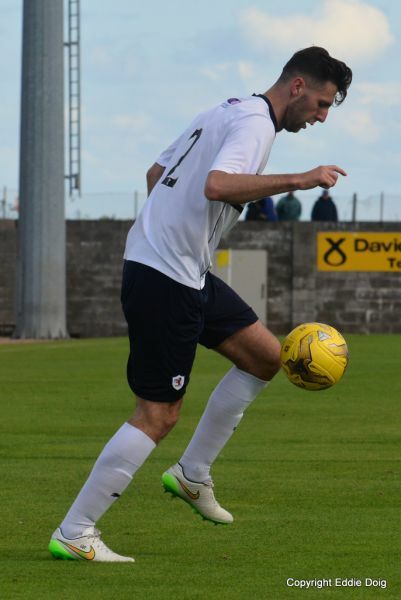 Ross Laidlaw began the derby fixture in goals, while Darren Petrie slotted back into the left-back berth. 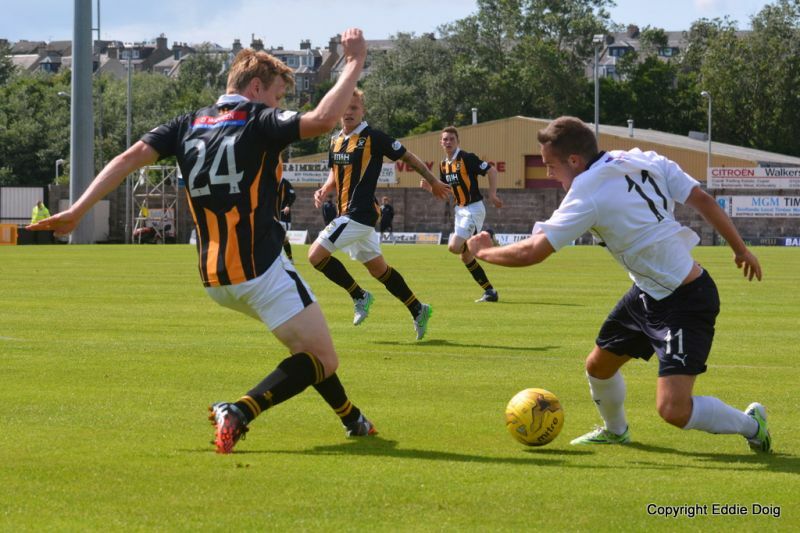 David Bates partnered Kyle Benedictus in the heart of the defence, with Ross Matthews doing the same alongside Ross Callachan in midfield. 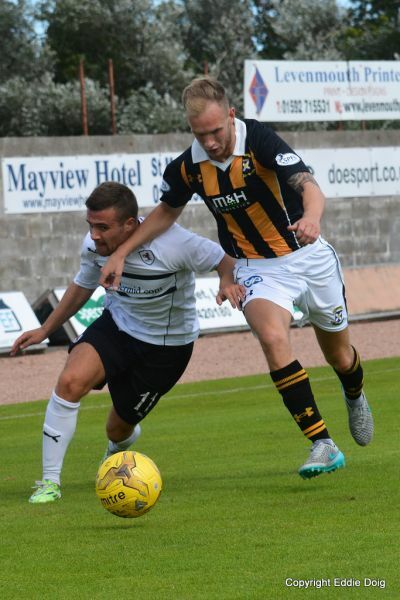 Lewis Vaughan was partnered with Mitch Megginson up-top, while a trialist was wide on the left. 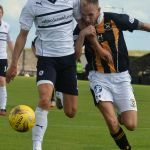 The wind may have made play at the Open impossible, but it didn’t stop the match at Methil, despite the sight of the corner flags bending double, and the swell of the Forth in the background. 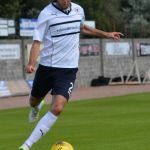 Ex-Raith forward, Kevin Smith was leading the line for the Fifers, and he started as he meant to continue, beating David Bates to the ball in the opening few moments, before setting up Patrick Slattery, whose shot from just outside the area was blocked on the edge of the six-yard box. 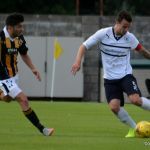 Rovers were playing with the strong, swirling wind in the first-half, but it was making life difficult for both teams in an opening period that was scrappy and devoid of any real quality. 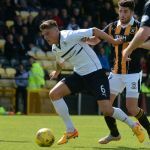 The slim-pickings that were on show were mostly being produced by Smith, and his neat interchange with Craig Murray, allowed the latter a sight of goal from inside the area, but his angled attempt spun off Benedictus and just failed to find the inside of the post. 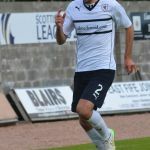 Raith were looking troubled at this point, and Naysmith’s men had another opportunity a minute later, when a long ball to Kyle Wilkie saw him clean through, albeit at an angle, but he dragged his shot wide of Laidlaw’s right-hand post. 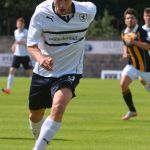 Frustratingly, nothing seemed to be coming off for Raith at this stage, and it took until the 25th minute for their first shot at goal, but despite Megginson being presented with the opening, a deflection took the sting from his shot, allowing it to be easily snaffled up by Ryan Goodfellow. 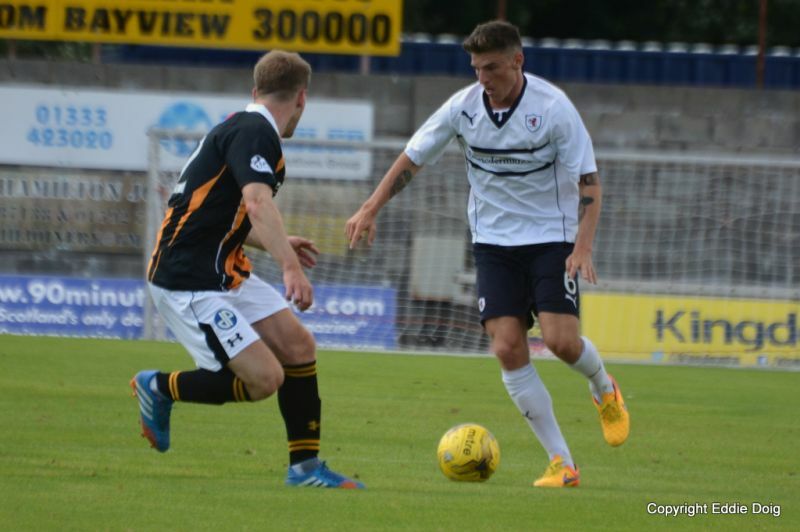 The remainder of the half saw Rovers create the bulk of the chances, albeit sporadically and half ones at best. Vaughan possibly could have done better after sidestepping a defender and the goalkeeper, but with barely any room to run into to, he dribbled the ball over the by-line. 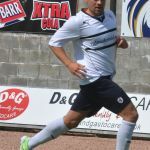 The diminutive forward came close again in the 38th minute, latching on to a raking pass from Petrie, which was misjudged by Jonathon Page, before dinking the ball over Goodfellow’s head. However, his finish wasn’t quite delicate enough, and the ball nestled in the roof of the net. 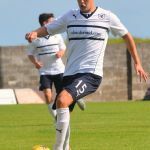 Just before the interval, Megginson found himself through on goal, but while his first touch seemed to tee him up for a shot, his second took him away from goal, whilst his third was an attempted pull back as he lost his footing. 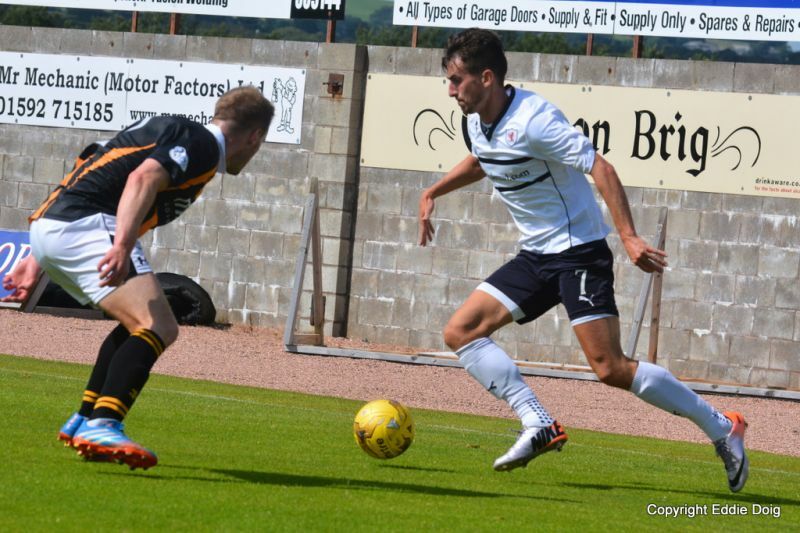 The second period was only two minutes old, when Rovers fashioned their best chance of the match. Vaughan wriggled his way into the penalty area, but after aiming for the space which Goodfellow had left at his near post, the keeper denied him with a strong hand. 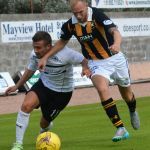 The rebound fell kindly to Vaughan on the by-line, but his driven cross was straight into Grant Anderson’s chest, and the chance was gone. 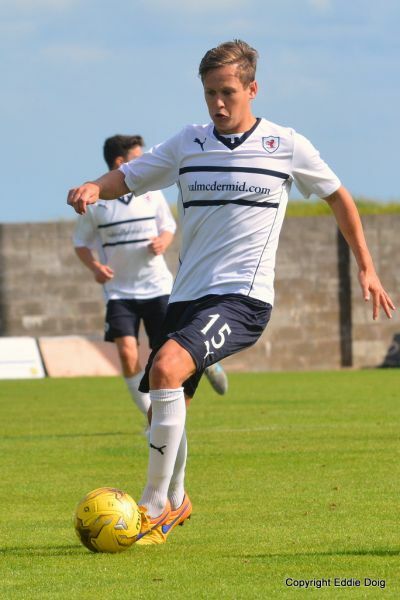 Good work from Ross Matthews in the middle of the park, allowed Megginson a sight at goal, but his snap-shot from the edge of the area dribbled harmlessly out of play. 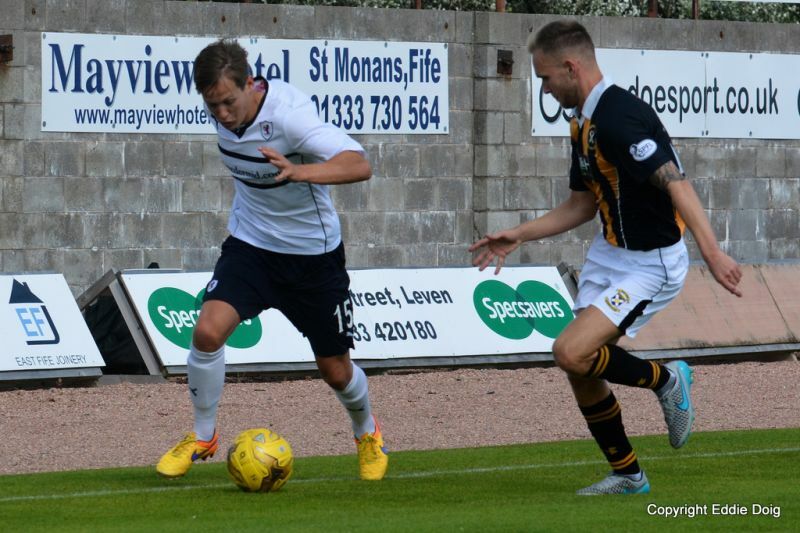 By this stage, Ray McKinnon had made a tactical tweak, with Anderson going up front and Megginson heading out wide. 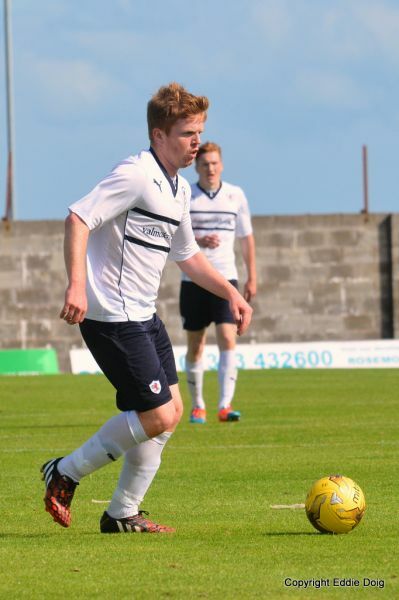 He then made a personnel swap with half-an-hour remaining, with James Craigen replacing the trialist. 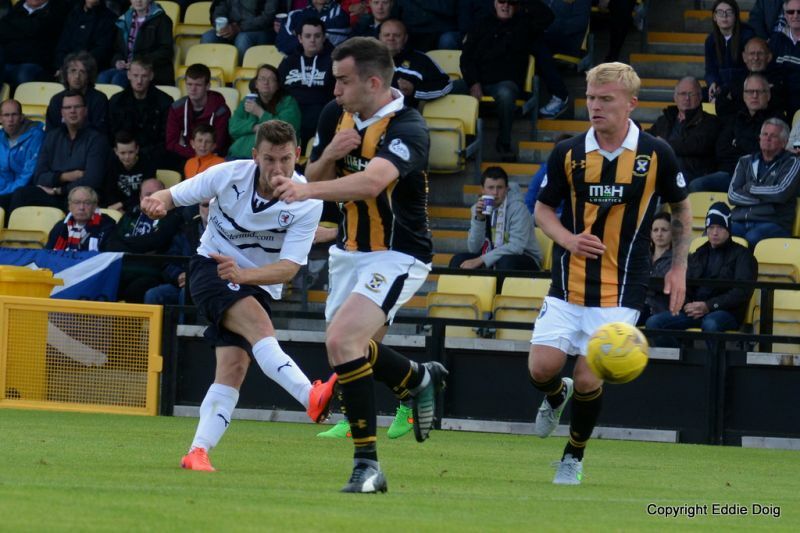 Five minutes later, he made his second, as Callachan departed the scene for Ryan McCord. The tactical ruse almost paid dividends after 67 minutes, when a Megginson cross was aimed towards Anderson, but his spectacular diving header cleared the crossbar, as well as the wall of advertising which surrounds the park. 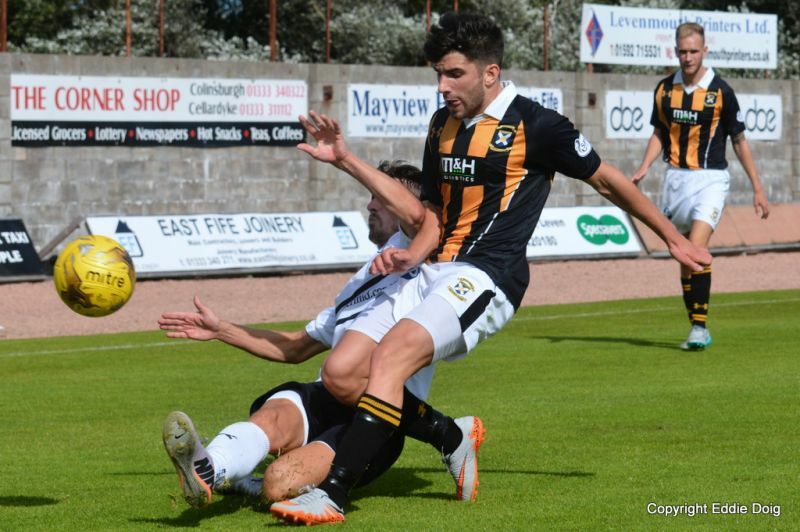 Whilst it would be unfair to suggest that East Fife had been under the cosh, they were struggling to assert themselves as well as they’d mustered in the first half, however, they should really have broken the deadlock with around 20 minutes remaining. 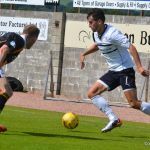 That man Smith was once again the architect, threading a pass through Raith’s centre-halves to a trialist, but while he attempted to dribble round Laidlaw and poke it home, the big ‘keeper did well to spread himself and scoop it off the striker’s toe. 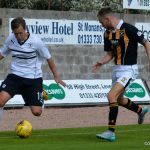 Laidlaw excelled himself once more, when the same East Fife duo combined again, with the trialist frustrated as his shot, bound for the top-corner was tipped over the crossbar. 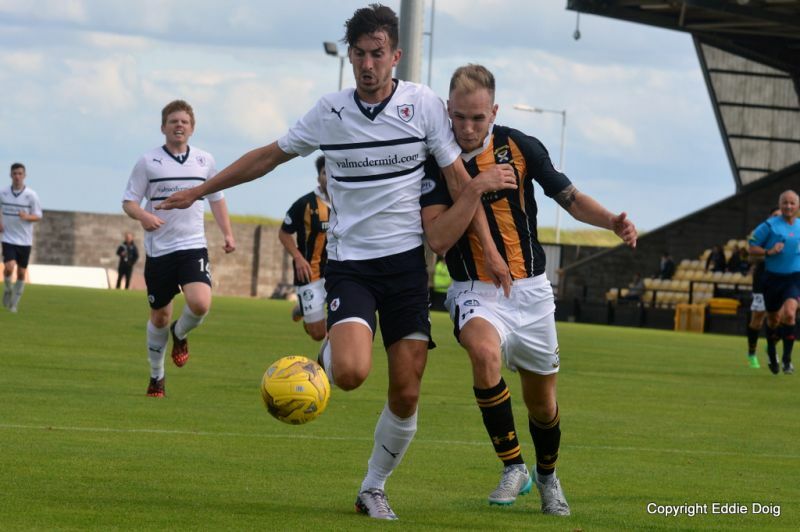 Raith’s last change came with quarter-of-an-hour to go, as Rory McKeown replaced Darren Petrie, and for the next ten minutes, Raith probed and prodded the East Fife defence, but created very little in clear-cut openings. The same couldn’t be said for the home side however, and they chiselled out, and finished, an excellent goal in the 86th minute. 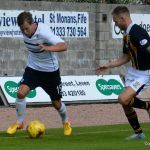 Smith scurried on to a flicked header, held off the challenge from Bates, and blootered an unstoppable, angled shot past Laidlaw from inside the penalty box. 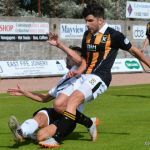 There seemed to be no time for Rovers to fashion an equaliser, but despite that, East Fife conjured up a second goal in injury-time. 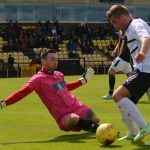 After McKeown got caught under a crossfield pass, he redeemed himself by blocking the cross at the expense of a corner-kick. 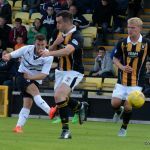 However, East Fife’s deep set-piece, allowed Page to rise at the back post, and plant a header beyond Laidlaw into the corner of the net. 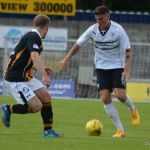 Raith’s fifth and final pre-season match of the summer, will be this Tuesday evening, when they take on a Celtic side at Stark’s Park. Welcome to Bayview, it's 18 degrees, sunny and the wind is blowing in from the Forth. There is a good two to three hundred travelling supporters filling the away end. 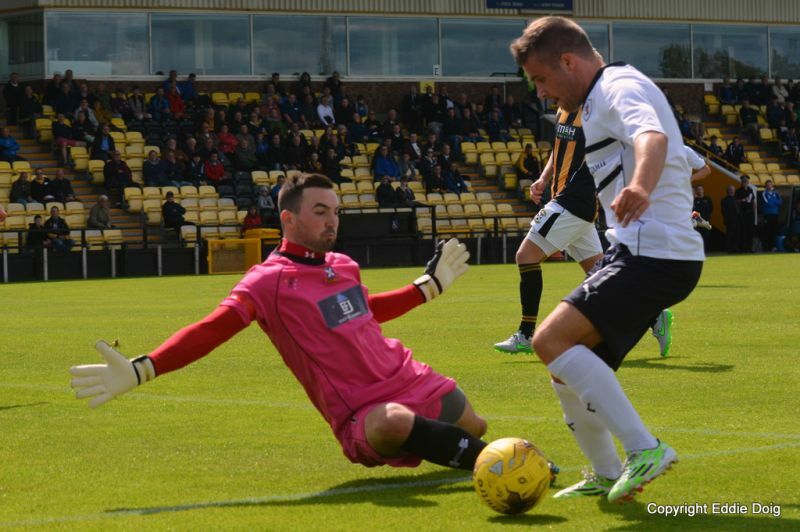 East Fife have the first shot at goal courtesy of Slattery. The wind is making accurate passing a lottery. 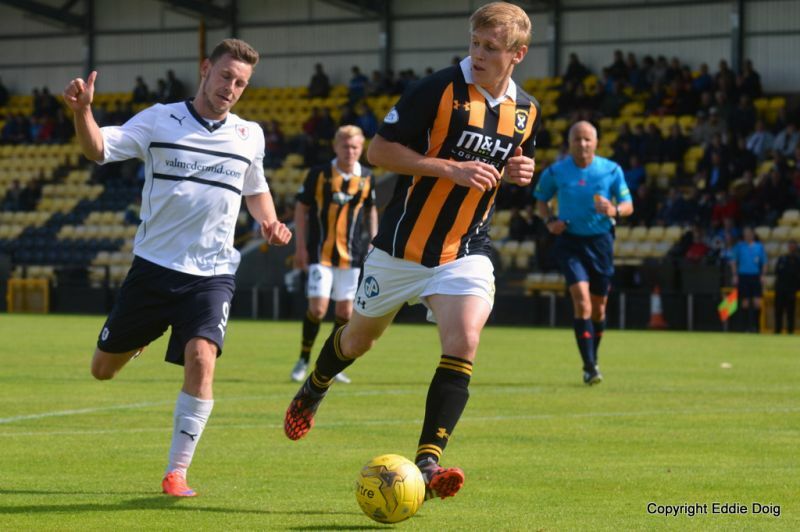 Wilkie benefits from a loose ball but fires his shot into the car park. Wilkie is thwarted by Benedictus the ball finding it's way to Laidlaw. The game is going to and fro in the middle of the park. 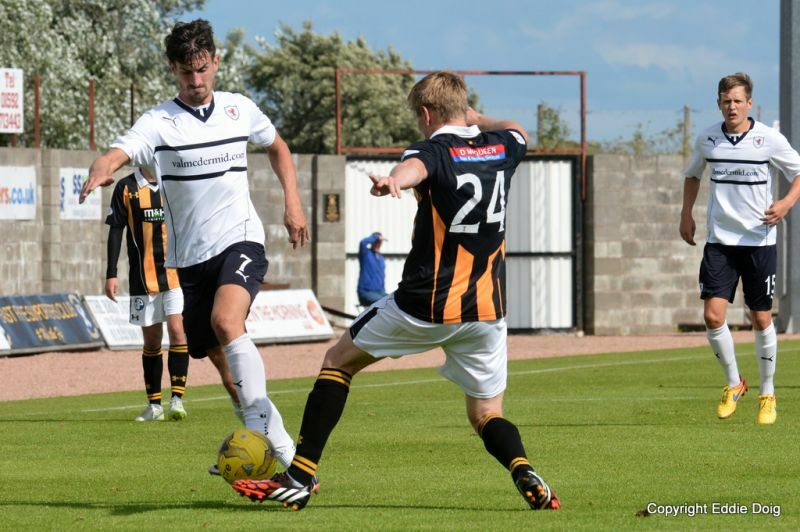 Smith and Murray combined the latter 's shot was deflected for a corner by Bates. Both sets of supporters getting behind their teams. Mr Salmond having a word with Callachan and Mercer. Megginson rushing into the box, couldn't get power on the shot and the ball is recovered by Goodfellow. 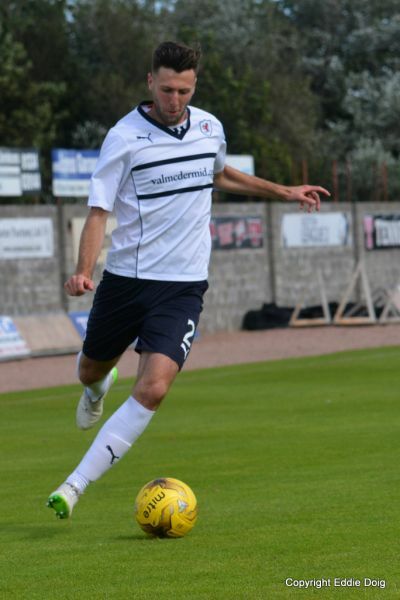 Rovers first free kick, Callachan hits the wall from 30 yards out. 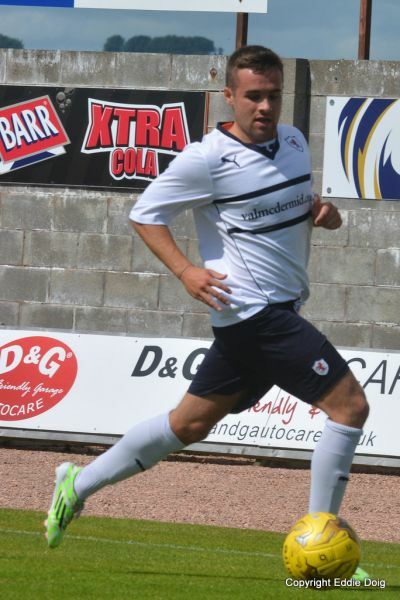 Lewis Vaughan going on a nice wee run which is halted by O'Kane. 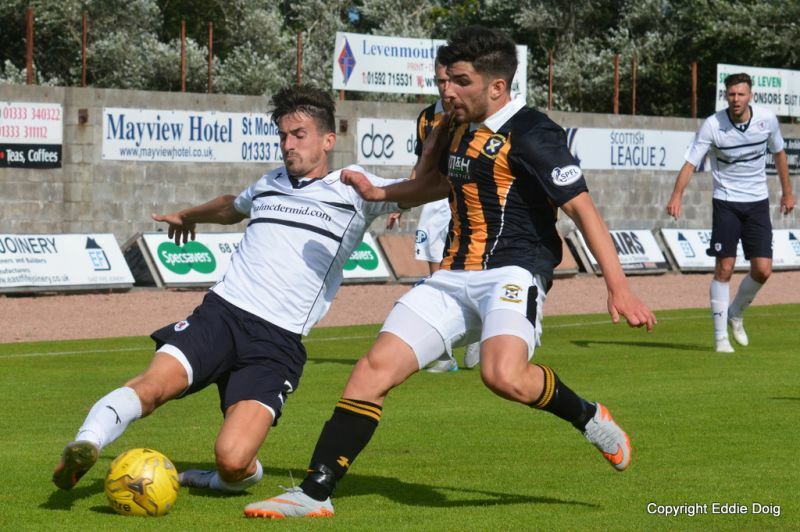 We get the first glimpse of the trialist as he crosses over to break up an East Fife run. 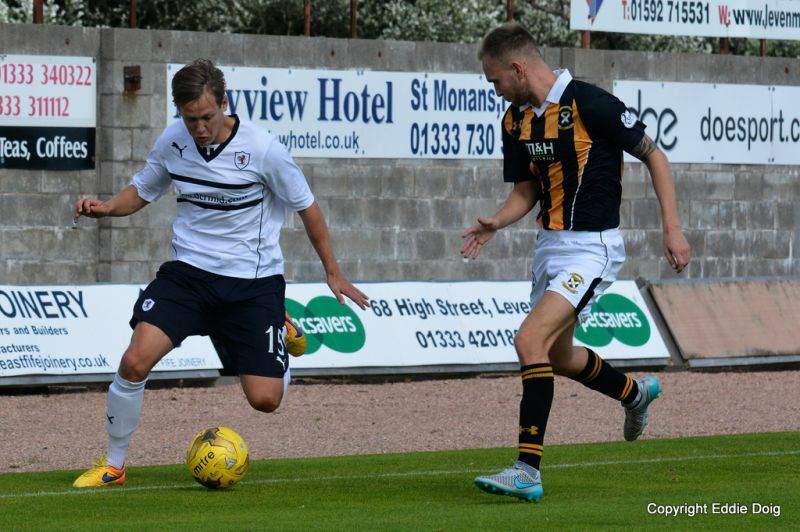 Mr Salmond waves play on as Smith shouts for a penalty. 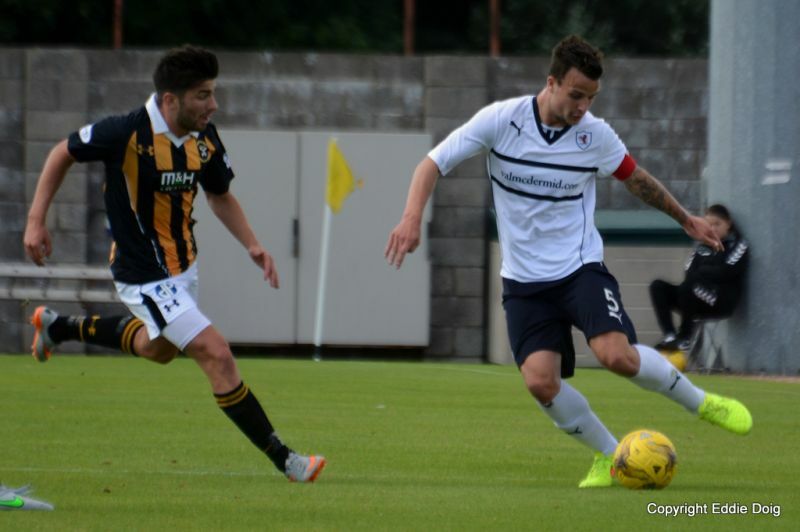 Vaughan dispossessed Page and chips the keeper but sees the ball land on top of the net. Megginson is clean through but dithered on the ball and is dispossessed. Anderson swings in a ball but it scurries out of play at the back post. 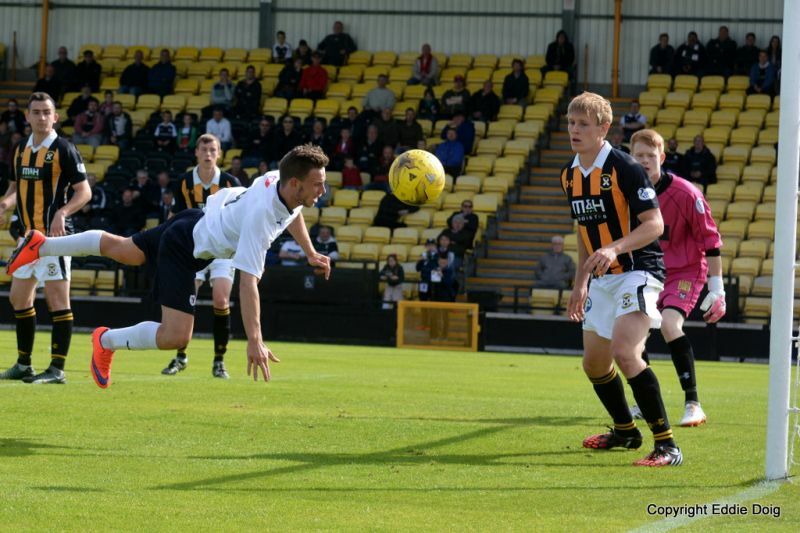 Good goal from East Fife as Brown plays through Smith who fires across goal past Laidlaw. 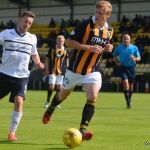 Raith Rovers will be on their travels for the first time this summer, as they head to Methil to take on Gary Naysmith’s East Fife side. 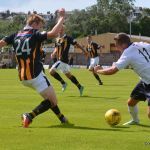 Like Raith, this will be East Fife’s fourth pre-season fixture, and so far, the Bayview club have won one, drawn one and lost one. 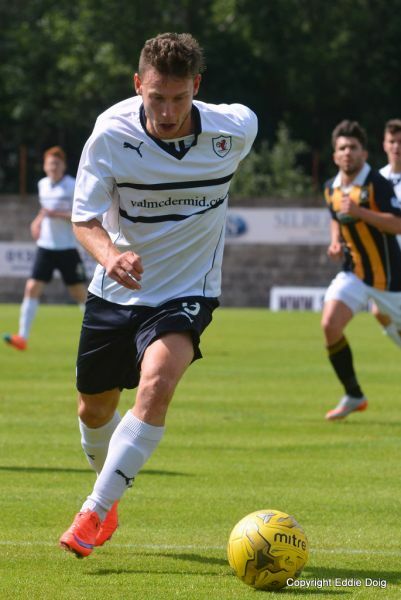 Their first match brought their only defeat, when a strong looking Dunfermline Athletic team, came away from Bayview with a 3-0 win, thanks to goals from Michael Moffat, David Hopkirk and Joe Cardle. 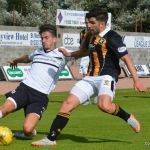 The scoreline was perhaps a little harsh on the home side however, as they enjoyed the better of the first half, but failed to take their chances. Exeter City were the next visitors to Bayview, where a last-minute Nathan Austin goal from 20-yards, ensured the match finished one apiece. 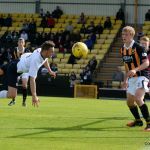 Austin would be on target again in midweek, scoring twice, as East Fife triumphed over the Hearts development squad 2-1. 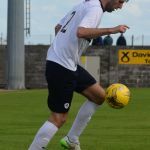 It’s been a busy summer for manager Gary Naysmith, as he’s built a squad who he hopes can better last season’s fourth placed finish, which culminated in a play-off semi-final defeat to Stenhousemuir. 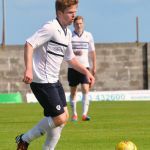 Similar to the changes to the squad at Stark’s Park, Naysmith has assembled a young, but talented group of players, with seven of the eight new signings 24 or younger, and even his eldest acquisition, former Hamilton, Motherwell and Dunfermline centre-half, Jonathon Page, is only 25. 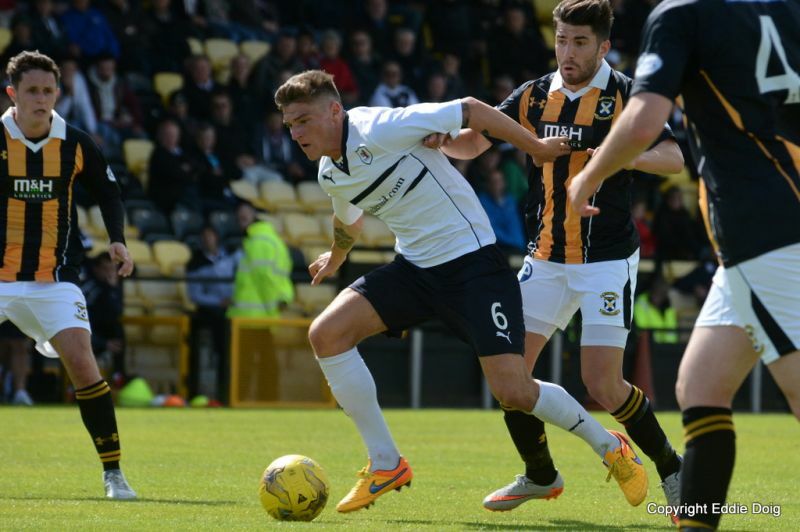 The bookmakers seem to like what they see, making East Fife third favourites for League Two, at 7/1. It’s been five years since these two clubs met competitively, when two goals from Gregory Tade, and one each from John Baird and Jamie Mole, sealed a 4-1 win for Rovers in a League Cup first round tie. 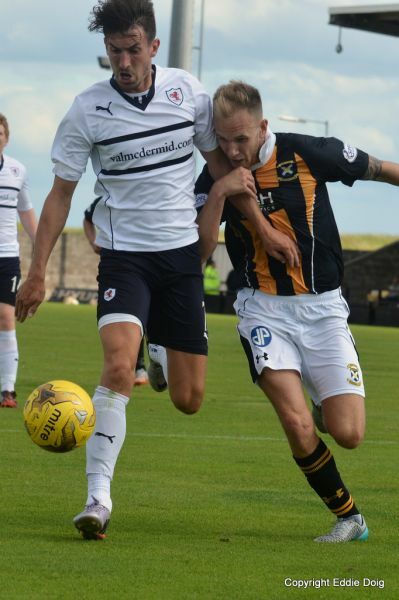 The last time the two sides were in the same league, was the 2008/09 season, which ended with Raith winning the Second Division title, while East Fife finished sixth. 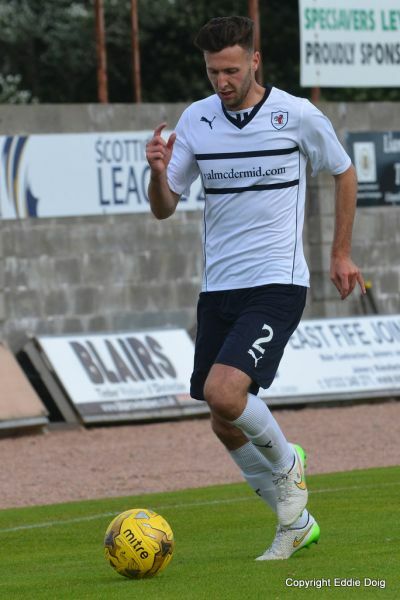 The referee for Friday afternoon’s match, will be George Salmond.